BRYAN EATON/Staff photo. Students in Cara Ripley's fourth-grade class at Amesbury Elementary School chose a region of the southeast United States to study and put together a diarama to include facts and history. 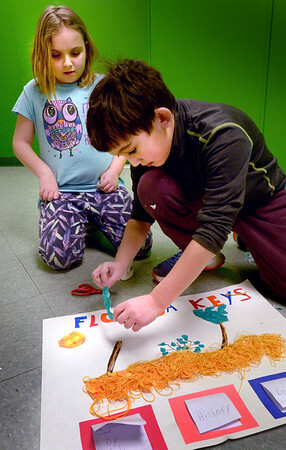 Madi Grimes, 10, left, and Massimo Puddo, 9, work on thier choice, the Floriday Keys.